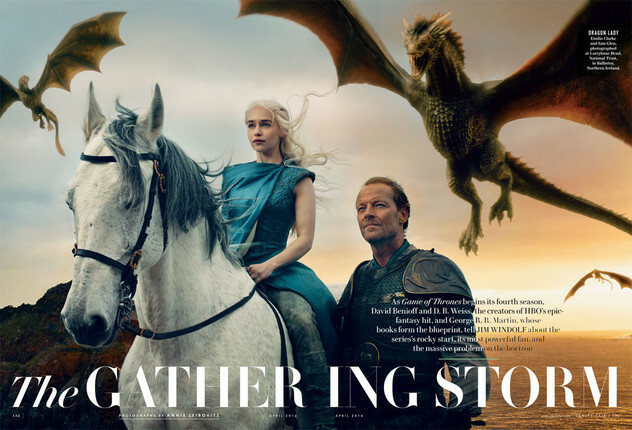 Vanity Fair Season 4 Promo. . Wallpaper and background images in the Daenerys Targaryen club tagged: photo game of thrones tv show season 4 got character daenerys targaryen dany stormborn mother of the dragons dragons jorah mormont. This Daenerys Targaryen photo contains lippizan, lipizzan, lippizaner, wrangler cheval, wrangler, wrangler à cheval, cheval de wrangler, sentier équestre, and randonnée équestre. There might also be dressage, cheval de selle, cheval, monter, cheval d'équitation, monture, cheval de l’équitation, cheval de course, and bangtail.